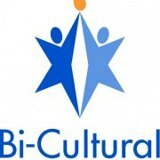 With a global economy and more recent cultural development, being bi-cultural is an important experience for adults and children. A lot of companies develop business in different countries and they need to understand these countries’ language, people, life and culture. Otherwise they cannot develop their business successfully in that foreign country. For children, learning different languages and cultures will help them know the world and define their future studying objectives and career development direction. I am glad to read the article “How to raise bilingual children in 5 steps” posted on Mia Mei’s website. These are very useful five steps which will help parents know how to develop their children’s bi-cultural abilities. I came from China and although I have no children, I know a lot of Chinese parents pay more attention to children’s bi-cultural upbringing than before. Although China’s economy has been greatly developed in past three decades, the economic conditions of the family has been greatly improved also. But not every Chinese family has the ability to send their children to get a foreign education, even if they want their children to have bi-cultural education. According Mia Mei’s suggestion, many Chinese children can learn other languages from TV, English books or magazines. I know some Chinese children will attend summer camp in China. These summer camps usually consist of many children from different countries. The approach is a good way for children whose family cannot send them to other countries. Children have opportunities to communicate and get along in different languages and with children of other cultures in the camp. It is like a window for Chinese children to acknowledge world. I agree if children grow up in a bi-cultural family, that means their parents can speak different language and have different cultures. That should create a good bi-cultural environment and then develop their bi-language and bi-cultural abilities from when they are kids. From my personal experience in learning two languages and adjusting to two cultures it is not easy because I almost didn’t have enough chances to learn a second language other than English when in China when I was young. Although we have English class and education in elementary school and high school, most English education in China was focused on reading and grammar. We did not have much real language environment to talk with foreign people in English or other languages. So for most Chinese people, we can read English articles or books, but we are not able to listen and talk in English very well. With Chinese economy development, more and more cities and schools have provided more opportunities for children not only to learn but also practice English. And more Chinese families have sent heir children to other countries for studying. 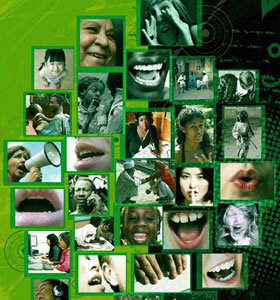 In China, the most popular second language is English, some people learn French, German, Japanese, and Russian. Most Chinese families sent their children to US, England, Austria, German, French, Japan to study. For me, I have not so much experience living in foreign countries except travel. US is the first foreign country I lived. I came to US for studying three years ago. Now I am working here. I deeply felt learning to be bi-cultural and bilingual are very important for life and work in US.